Again, like the Vanilla Texas Sheet Cake, I was introduced to this crispy, caramel-ly, melt-in-your-mouth puff goodness at a church gathering. 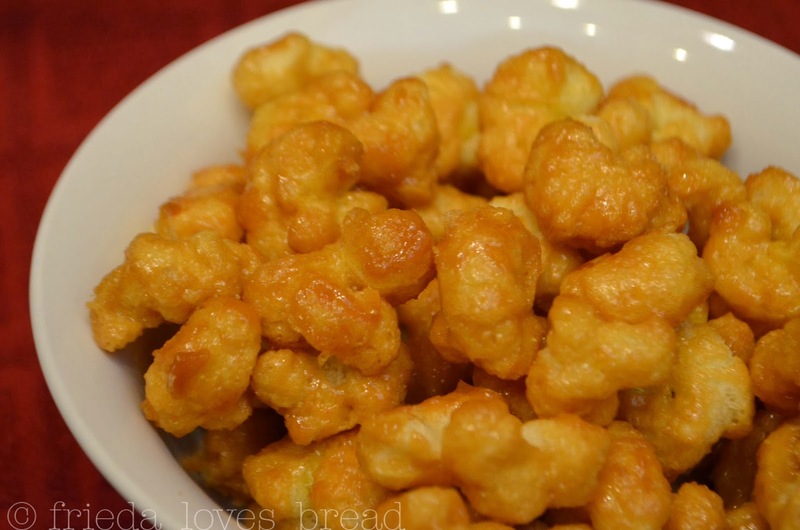 It is like the best, caramel corn, EVER. You don't have to pop the corn and you don't get popcorn hulls stuck in your gums...No seeds, no hulls! It only took a quick search around the room to find the lady that so generously brought this addictive sweet snack and ask her for the recipe. "Well, it's on the bag," she said. "Ummmm, the bag of corn puffs that I bought at Harmons grocery store." are mixed and cooked for two minutes or till bubbly around the edges. The pan is removed from the heat and baking soda is added. 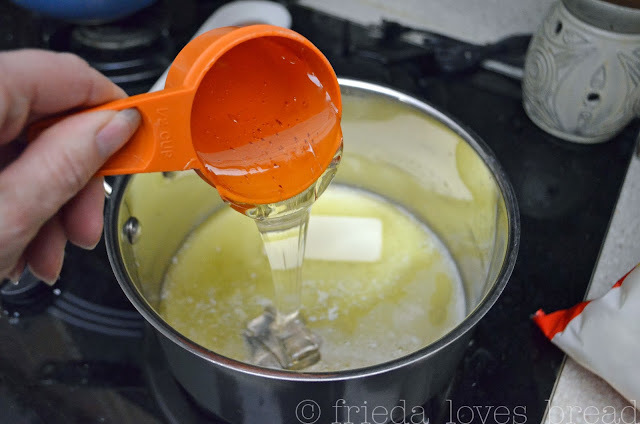 This lightens the color of the mixture, foams, and allows the coating to stick to the corn puffs. mixed, and placed into a low oven, stirring every 10 minutes for 45 minutes. 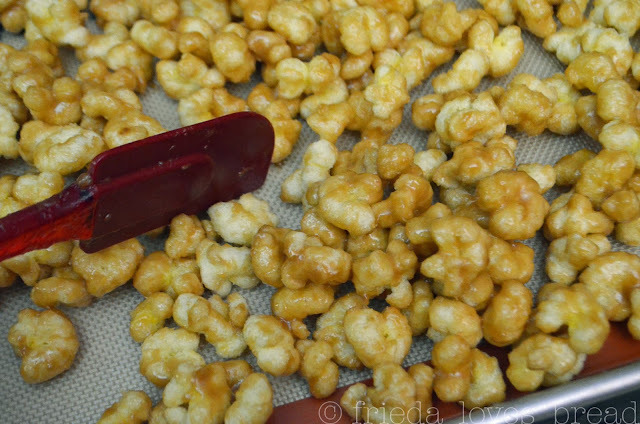 Yes, you need to stir every 10 minutes or you will have a large blob of caramel corn. Don't worry, it's SO worth every crispy, buttery, caramel-y, sweet bite! Place corn pops in a large mixing bowl. 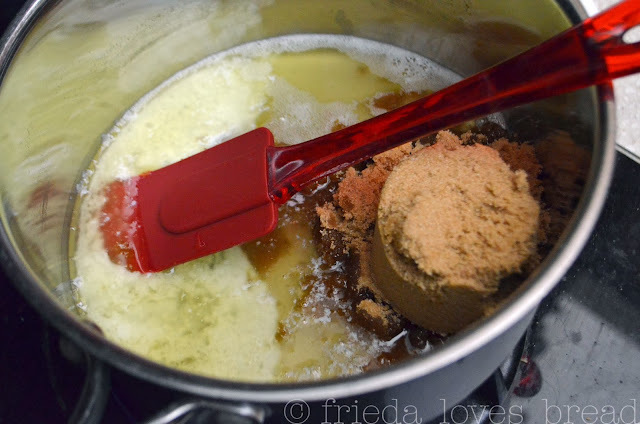 In a medium saucepan, mix together butter, corn syrup & sugar and melt over medium high heat until bubbly around the edges. Add baking soda and mix. 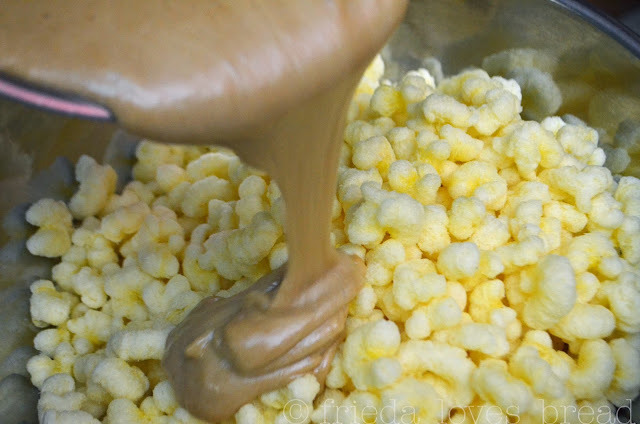 Pour over corn pops and mix gently. stirring every 10 minutes for even baking. Remove from oven and break apart before the pops cool.